BLINDER HP-905 Compact multi-purpose anti-laser park assist. 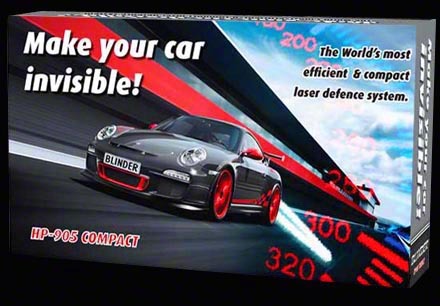 BLINDER International are proud to release the HP-905 Compact laser defense system. With a new look and new innovative design features, the HP-905 is streaks ahead of the competition. Firstly, the new sensors are super small, 30% smaller (by volume) compared to the smallest competitive product on the market. The HP-905 is powered by extremely powerful laser diodes. This feature alone places the HP-905 in a class of its own. The new sensors fit easily into the tightest of grille spacing's and make mounting and vehicle body integration a breeze. The new HP-905 sensors are many times more powerful than all previous models, incorporating both high output laser diodes and high power LED's in one sensor. This hybrid combination eliminates the usual problem with laser diode "grid patterns" which are an unfortunate feature of single laser diode units. What this means to you is a "homogeneous beam" and a higher degree of vehicle "invisibility" to laser based speed guns. High Power Laser Diode Based Sensors with High Output I/R Light Emitting Diodes. The HP-905 features a variable audio volume control and new "Real Voice " alerts that identify the type of laser gun or laser speed camera that is aiming at your vehicle. The alarm tones are easier to identify in noisy vehicle interiors. If your like listening to loud music when you drive, you'll appreciate the HP-905 wiring includes a sound system "Audio Mute" wire to automatically reduce your stereo or radio during alarm events. The new sensors feature a new "clip on" mounting bracket which helps keep the dimensions as small as possible. Small locking screws make sure that the unit stays perfectly level when set. The HP-905 can operate in three separate modes,"Park-Assist", "Detection Only" and "Stealth Jamming" modes. The HP-905 is software upgradable. Using a laptop or desktop computer and the supplied USB cable, the CPU software can be upgraded at no cost to you. All FREE upgrades are available from our Download Section. The whole upgrade process takes less than 5 minutes to complete. No paying for module upgrades or wasting money. No down time waiting for your CPU to be returned to you. The HP-905 comes complete with its own USB cable so you can do the software upgrades yourself. When you purchase a HP-905 Compact system, you can be assured of a quality product that has undergone extensive testing against a comprehensive list of laser guns. As with military hardware, there is a continuing counter measures war between laser gun manufactures and counter measures product manufactures. When you purchase a HP-905 Compact, you can be assured that the process of "Counter Measure" upgrades will NOT cost you a penny more over the purchase price. With some anti-laser products you can expect to be troubled with CPU module changes which will cost you money and down time, not to mentions shipping costs. HP-905 Compact uses "VOICE ALERTS" which let you know what type of laser gun or laser speed camera are being encountered. 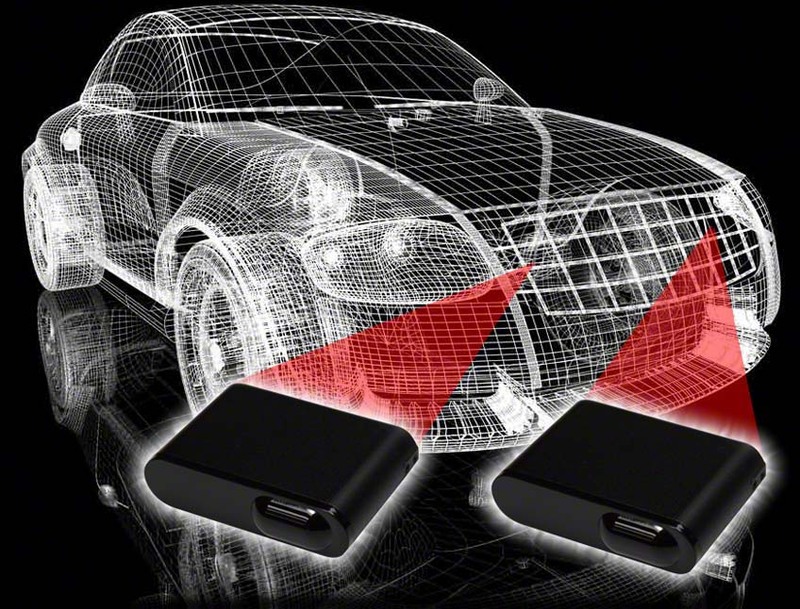 New attention grabbing "ALARM" sound with volume control will help you tune your system to noisy environments.